Today’s post is a particularly old photograph of mine–so old, in fact, that you’ll have to pardon the fact that it was taken before I owned a DSLR. I happened upon it the other night, and it was so lovely that I just couldn’t resist processing and posting it. Above Bridal Veil Falls, in the box canyon cliffs surrounding Telluride, CO, is this building. At first, it looks to be a lonely house, but the truth is far more fascinating: it is the second AC hydroelectric power station in the United States. 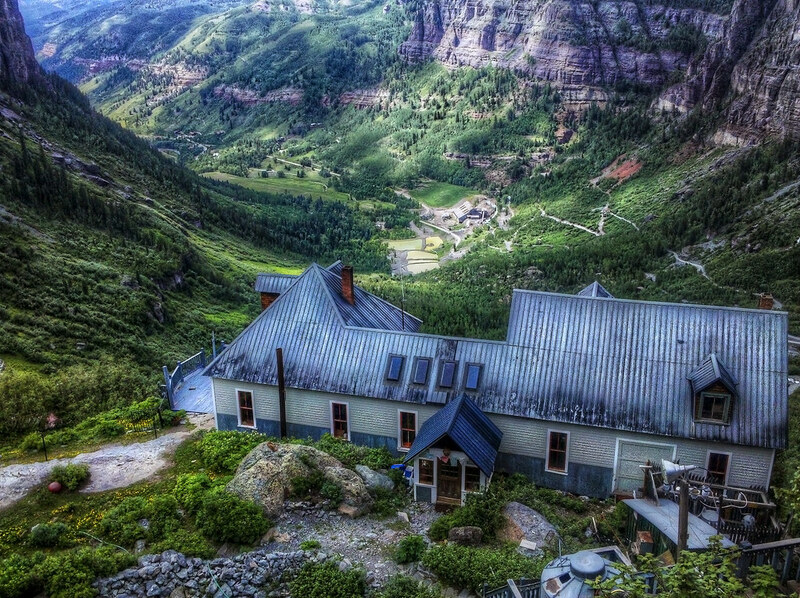 The facility was restored in the 1980’s, and still provides 1/4 of the power to the little town of Telluride in the distance.